We recite it in Ramadan, but after Ramadan we take a vacation to the following Ramadan as if Allah only ordered us to recite it in Ramadan!!!!! 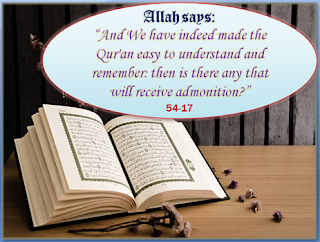 Why doesn't a Muslim always recite it? A Muslim shouldn't speak with people while listening, if someone speaks with him, he should say Sadaka Allah Al-Azeem and closes the recorder or the radio.